Another way to check for anterior tibial translation is with the KT-1000 and KT-2000 arthrometers. The patientâs leg is bent and supported on a wedge with the knee in 30 degrees of flexion. The arthrometer is placed against the knee to be tested and strapped to the lower leg. Usually, the normal knee is tested first. 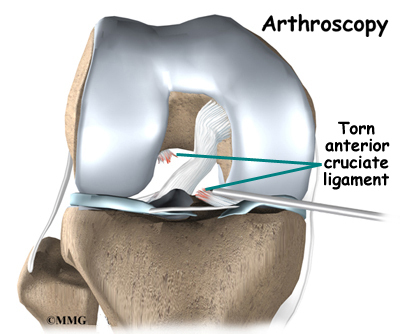 The arthrometer applies an anterior force of 15 pounds against the tibia. The amount of anterior tibial translation is measured. The test is repeated with a force of 20 pounds. A third test applies a manual maximal force to the posterior (back) of the tibia. This is similar to the Lachman test. 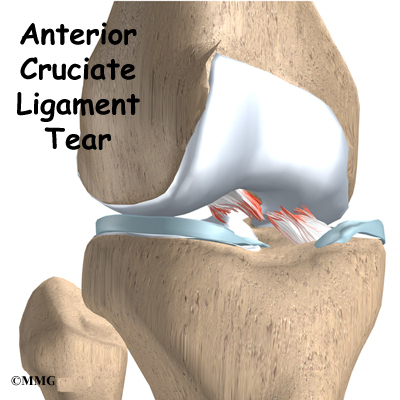 Initial treatment for an ACL injury focuses on decreasing pain and swelling in the knee. Rest and mild pain medications, such as acetaminophen (TylenolÂ®), can help decrease these symptoms. You may need to use crutches until you can walk without a limp. Most patients are instructed to put a normal amount of weight down while walking. 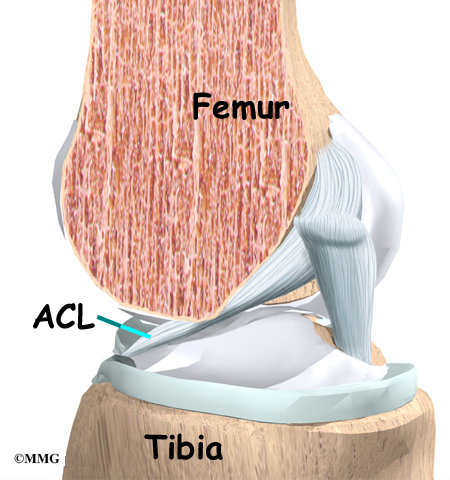 The knee joint may need to be drained with a needle (mentioned earlier) to remove any blood in the joint.